This Sweet Balsamic Glazed Pork is tender and delicious and can be made in the slow cooker or the Instant Pot. Doesn’t that sound like a dinner the family would love? Slow Cooker or Instant Pot Sweet Balsamic Glazed Pork from Mel’s Kitchen Cafe sounds like an impressive go-to meal whether you’re serving family or special guests. The star of the show here is a pork sirloin roast, seasoned with sage, salt and pepper, and a little garlic. Throw it in the slow cooker for a few hours, or if you prefer you can make this sweet balsamic glazed pork in the Instant Pot. Whether you use the slow cooker or the Instant Pot for this sweet balsamic glazed pork, this recipe isn’t much more work after the pork is cooked to perfection. For the finishing touch, simmer the glaze for a few minutes, remove meat from the pot and shred into pieces, then drizzle with the sweet and savory balsamic glaze. Voila, dinner is served and everyone in the family is happy. 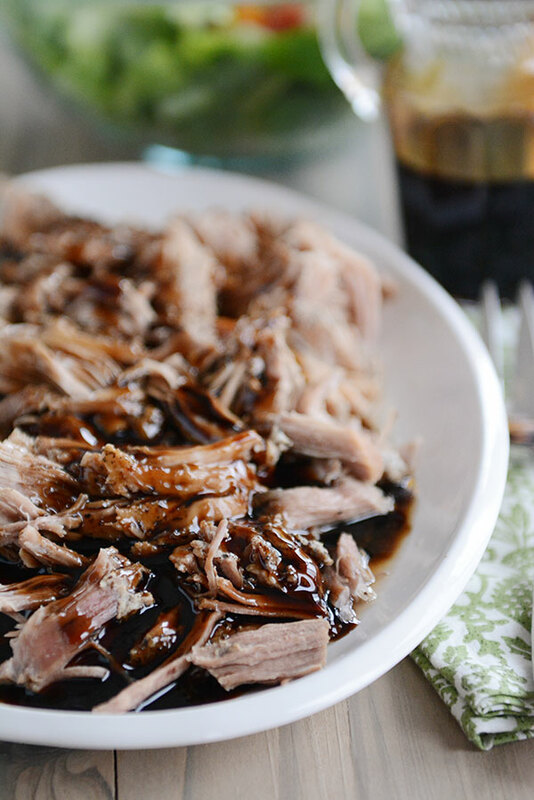 Get the complete recipe for Sweet Balsamic Glazed Pork ( with instructions for Slow Cooker or Instant Pot) from Mel’s Kitchen Cafe. Mel recommends an 8-Quart Slow Cooker or any Instant Pot for this recipe. Other Electric Pressure Cookers will also work. Use the Index Page for Pork to see all the slow cooker or pressure cooker recipes using pork that have been featured on this site.